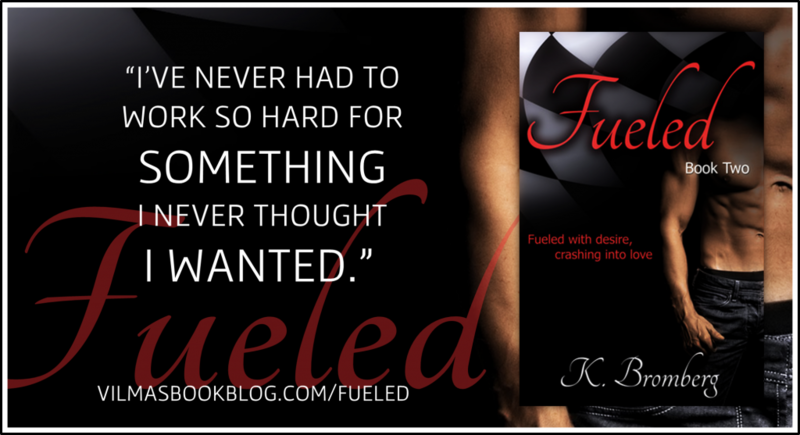 as Colton and Rylee are fueled by desire and insecurities alike, seeing if they have what it takes to finish the race towards their happily ever after. Finishing this book simultaneously exhausted me and had me on edge. The adrenaline still coursed in me as the story took a turn that left me shocked, breathless and desperately wanting the next book. 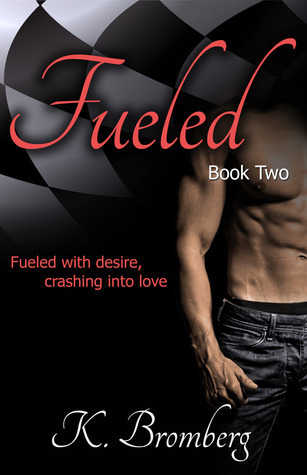 This second installment in the Driven trilogy revved up the drama as I sped through the pages to see what would happen next. I was addicted. Undeniably, utterly, indescribably consumed by this book. It was explosive. The fragility of Colton and Rylee’s relationship was pushed to the point of breaking. Together they are joy and fury. Perfection and chaos. Unexpected comfort and passion unbound. The volatility and duality of their relationship is difficult to understand and impossible to control. It’s clear that they’ve fallen for each other, but their painful pasts grip them so completely that every time things begin to settle into place, as they revel in the intimate bliss of being with each other, Colton regresses to a very dark place within himself and pushes Rylee away. Whereas Rylee has made significant strides in dealing with Max’s death and sharing the buried pain that came with that horrific event, Colton is struggling. He’s trying. Rylee has changed everything for him. He’s so vulnerable around her. She’s gradually been able to break through the walls of darkness caged within himself. The terror of his childhood. The guilt over his role in it. The dirtiness he feels when he thinks of love. But Rylee has shown him that he’s worth more than the temporary pleasure that shrouds the pain … shown him that living life and letting himself be happy is something of which he is worthy. Colton’s past is crippling. Reading the prologue completely shattered me. It was honestly so painful to get through, but also necessary to understand the heaviness and hurt that plague Colton. He has severe abandonment issues and believes that allowing himself to feel, then tearing it all apart as he always does, will only lead to Rylee leaving him. So in turn, he doesn’t let himself be free to fall too deeply, to hope beyond the present. The push and pull in this book was excruciating. It was heartbreaking to see how much they loved each other, yet also see how the vise-like grip of Colton’s past tore them apart, time and time again. Colton made so many mistakes that were so hurtful to Rylee that had me both wanting her to walk away as well as hoping she would run to him, helping to soothe the anger and torment inside of him. I really loved that Rylee fought for herself. She was forgiving of so much, but at the same time, she knew when to draw the line and stick up for what she deserved. The times where everything was in the midst of splintering into a million little fragments were so raw and visceral, I truly felt every destructive, piercing word that flew between the two of them. I was coiled so tight, holding my breath as I watched the drama unfold. I thought that this book was much stronger than the first in more ways than one. First, it showed a more apparent departure from the formulaic elements we saw in Driven as the author skillfully imbued her own style into the writing and into the direction of the plot. The story evoked so much more feeling for me. A maelstrom of emotion swirled tempestuously as I experienced every powerful moment of the story. In addition, the chemistry is scorching! The intensity and passion between them set the pages ablaze. This is primarily Colton’s story, as we begin to unravel and understand his past and how it affects his capability to love. I am absolutely and entirely greedy to get my hands on the next book to see what happens between these two tortured souls, racing after their elusive happiness.